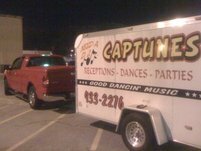 Captunes DJ Service is your solution to the regular run of the mill entertainment service. We are family owned, operated, and oriented. With over 25 years experience, we pride ourselves on our ability to adapt and entertain any crowd under any circumstance. Our goal is your total satisfaction and enjoyment, without the hassle and headache associated with other less than professional DJ services. Captunes DJs will always treat you and your guests with the utmost respect and still maintain the fun, high energy professionalism we are known for. 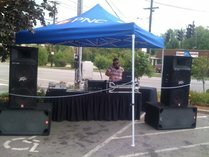 Our equipment is of the highest quality and we have the ability to cover just about any venue from the smallest wedding to the clubs on Fourth Street Live. 500 satisfied wedding customers alone speaks for itself, but don't just take our word for it, ask around.